X-ray of the lungs is a diagnostic method for the study of the thorax based on the use of x-rays. This is a simple, informative and accessible survey that can be used in any position of the patient. This allows to identify pathological disorders to a greater degree than radiography. The method consists in scanning a thorax of the patient x-rays, and their subsequent reflection on a special fluorescent screen. The resulting image, which depends on the density of structures is transmitted to the monitor (not on film, as with radiography). Thus, the doctor is able to observe changes in tissues in real time. Data can be stored in the memory device, which is convenient for subsequent discussion with other professionals if the need arises. The main difference from x-ray radiography in that it allows you to see the chest during their working time, that is, in motion. All changes in this Department of the body at the moment, are fixed on the monitor the doctor. This can be movement of the diaphragm, the processes of the circulatory and respiratory systems and others. 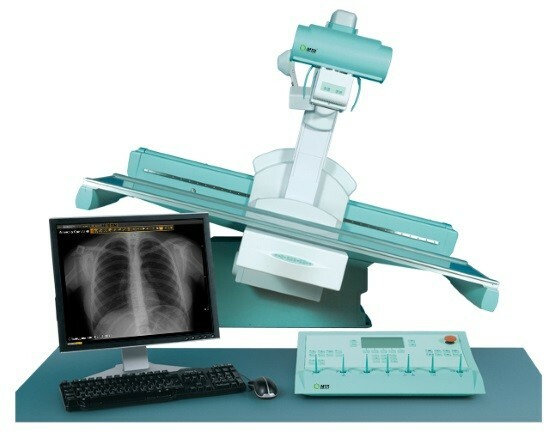 Therefore, it is often fluoroscopy is a decisive diagnostic method in cases of dispute. For example, it allows to see and to distinguish pathological disorders in the lungs diseases of the pleura. In addition, the method gives the opportunity to see the respiratory movement, the process of locating and pulsating shifts of foreign bodies. READ Period after laparoscopy: why not? Not prescribe the conduct of fluoroscopy (in the same way as x-rays) in the period of carrying a child, under the age of 16 years. Where can I get a survey? 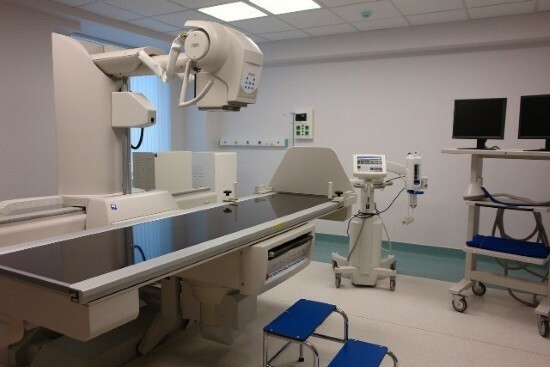 Fluoroscopy of the chest can be completed in any medical or diagnostic facility (center), with a special x-ray equipment. Usually such equipment is provided with the major centers, public clinics, and hospitals. Since the survey involves a large radiation exposure, the Cabinet shall be equipped with all the necessary protective devices. 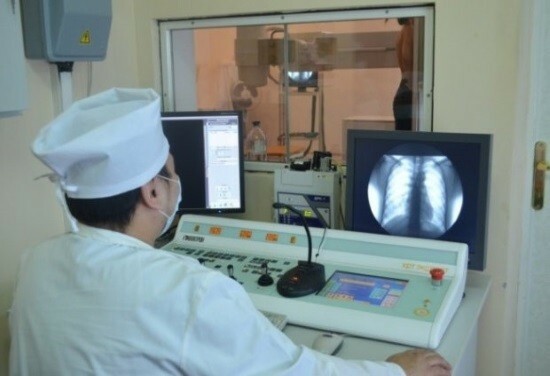 Preliminary preparations for x-ray is required only in the case of examination of the gastrointestinal tract. And in the study of the thoracic organs a special preparation is necessary. All that can be done in advance, it is to wear such clothes, so it was easy to take on and off. In advance should take care about the jewelry (chain or piercing). If you don’t want to leave them unattended, then it is better not to wear, because to x-rays, as x-rays, it’s impossible. The survey is conducted with the patient standing. For a start he should undress and remove jewelry, and women’s bra (as metal clasp). The x-ray tube adjust in accordance with the growth of the patient. The same make and screen. 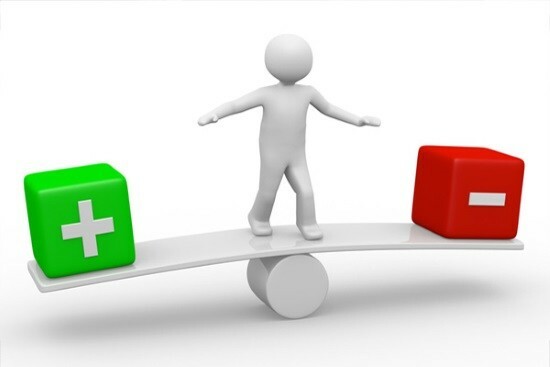 Between doctor and patient there is a link on which the expert says, what actions need to be performed at this time. First, the doctor does a General examination of the chest and only then moves on to a detailed review. When receiving a General information specialist has the opportunity to assess the condition of both lungs, with localization of the pathology on such a background stands out better. Then there is the examination of specific areas of the bodies in sequence: top, of the area under the clavicle, middle parts, bottom, roots, diaphragm. Thus there is a complete examination of the chest. READ X-ray of the lungs of a healthy person: as it looks? On the basis of visual pictures presented on the monitor, the doctor makes a conclusion about the state of the chest. Obtained in different planes of the data can say, for example, the presence of air in the pleural cavity, which is manifested light. The presence of fluid in the pleural cavity is expressed kind of line on the screen. In the process of observing dynamic changes in volume of organs specialist traces the changes in the liquid level, paying particular attention to signs of purulent processes. In addition, in the process of studying the data of x-rays the doctor evaluates the localization and size of the discovered changes (if any). A careful examination of the exposed roots of the lungs, which are large vessels. If the density of any area is increased, the image is the shadow. Then the doctor describes in the conclusion of their structure, shape, quantity and other parameters. In comparison with film radiography and fluoroscopy digital fluoroscopy results in less exposure per unit of time. So, when conducting surveys, a digital fluoroscopic technique, the patient is subjected to a radial load of 0, 02-0, 03 mSv. During the study a chest x-ray, the figure is 0.15-0.25 mSv, and in film radiography it comes to 0.4 mSv. However, the decisive factor is not a one-time dose, and the total for the whole period of time of the procedure. And in this respect x-rays, of course, loses its counterparts, as its duration can be up to 15 minutes. When the patient receives radiation in the amount of almost 3.5 mSv. READ X-rays of the elbow joint: what shows? gives the opportunity to explore the aperture. However, along with advantages, the classical method there are drawbacks. Chief among them is that the procedure should be carried out in a darkened room (this is a necessary condition). Therefore, the doctor for correct interpretation of the resulting images you have to get used to the darkness. However, in the case of more advanced variant, using equipment that prints the image on the screen, this disadvantage is fading. Another disadvantage is that the survey gives a greater radial load (as described above). Digital modern devices, of course, significantly different from the old models, but the duration of the procedure is still alarming. However, this is not a reason to refuse from its holding, as it allows to clarify the diagnosis, and hence prescribe the right treatment. Metastases in the lungs on an x – ray look like? Darkening in the lungs on x-ray – what can it be? MRI of the lungs and bronchi: what shows? X-ray of the lungs of a healthy person: as it looks?